What do we know about the damage caused by teeth grinding? Grinding teeth is known as bruxism in the medical community. Bruxism is actually a Greek term that means gnashing of the teeth. It can cause a significant amount of damage to the incisors, as well as pain in the jaw, since the jaw is clenched as well. Most people grind their teeth sometimes. It only becomes a health problem when it is habitual or accompanied by psychological problems such as anxiety or chronic stress. Bruxism can occur during the day or at nighttime, although it mostly causes health issues when it occurs at night, especially if it interrupts a person’s sleep. Sometimes the problem is severe enough to interrupt short naps. When it affects a person’s sleep, it is classified as a sleep disorder. Waking bruxism has recently been associated with geriatric patients suffering from dementia, Alzheimer’s stroke and Parkinson’s, as well as a few other brain dysfunctions. In a study conducted by the Department of Neurology at the Hyoja Geriatric Hospital in Korea, researchers found that the teeth grinding was associated with frontal lobe activity, meaning that the brain is in some way involved. There is little understanding of what causes the activity. Studies like the one mentioned above attempt to shed some light on it. But, until new information becomes available, most doctors will continue to think of daytime bruxism as a habit. Bruxism is the leading cause of fractures in the incisors and canines. It is a significant cause of tooth loss and gum recession. Some people clench their jaws, without moving it from side to side in the action that wears down the incisors or canines. But, this jaw clenching can damage teeth that have been hollowed out by cavities, drilling or fillings. 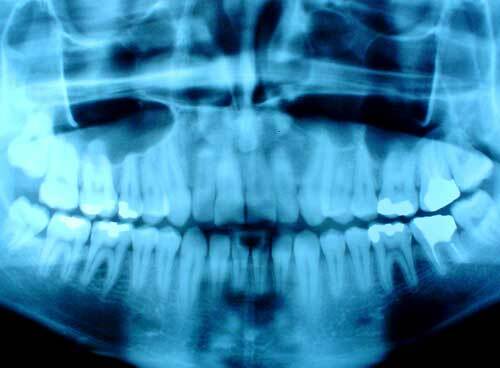 It is possible for a filled tooth to collapse completely, because of the pressure exerted over time. Grinding teeth may or may not cause other symptoms. In some cases, the person is not aware that they grind their teeth or clench their jaw on a regular basis. Some of the symptoms that may indicate that bruxism is the underlying problem include migraine, morning headaches or pain in the jaw, sinuses, facial muscles, neck, shoulders and back. An earache or a ringing in the ear (tinnitus) may occur. Vertigo or dizziness is sometimes reported. Symptoms that can accompany teeth grinding and may be an underlying cause of it include depression, stress or tension. When it occurs at night it can cause insomnia, daytime sleepiness and waking exhausted. Head tingling and eye irritation have been reported by some people. In some cases, it accompanies eating disorders. One of the long-term effects of grinding teeth can be arthritis in the temporomandibular joints; the jawbones. One of the best ways to treat the jaw clenching that occurs during the day is to recognize the problem and relax the muscles. Muscle relaxers or other drugs are rarely prescribed, as this is an activity that the person has the ability to control. Stress reduction techniques, such as deep muscle relaxation, may be beneficial for teeth grinding that occurs during the day, although the nighttime activity is an unconscious one. It seems to affect children fairly frequently. Often, it is the parent that notices the behavior. It doesn’t always wake the child. In adults, some of the associated factors include alcohol abuse, smoking, antidepressant use, obsessive compulsive disorder and recreational drug use. There is no single accepted cure for bruxism, although treating an underlying disorder or avoiding drug use may be the solution. Management to protect the teeth is recommended for children and adults. Mouth guards or splints can be fitted by a dental professional. Although they are protective, they do not stop people from grinding teeth.